Here are some photos of my latest Bird of Prey commission. Charm, a beautiful Kestrel in flight and her portrait in profile. The first thing was to get the right layout, from the photo I created templates to ensure I had the exact shape of the creature. The stone is Portland limestone and approximately 13×12 inches square and 4inches deep. Once the position was approved-there were a few other ideas! 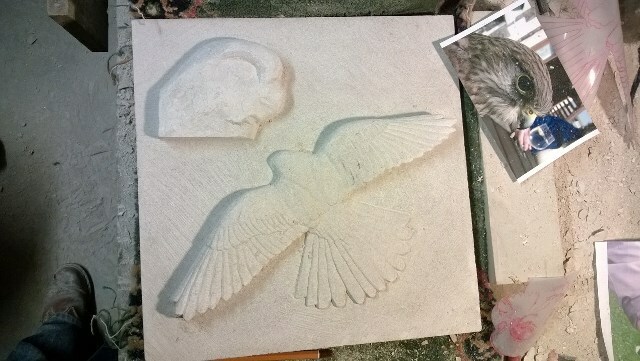 I was able to start creating islands in the stone-the outline of both the bird in flight and her profile. This meant taking the stone down by 1.5 inches to leave me enough stone to carve the features and details. 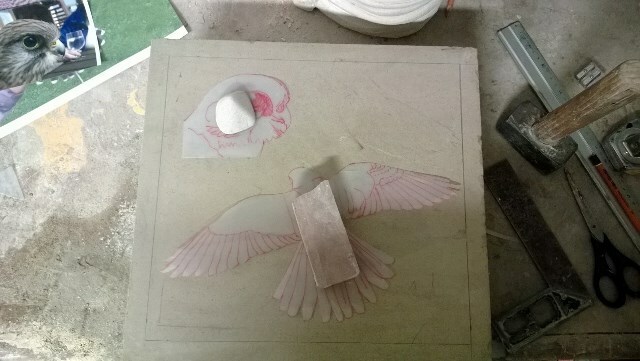 As you can see I have removed enough stone to give the illusion of the feathers and now I start on the face. 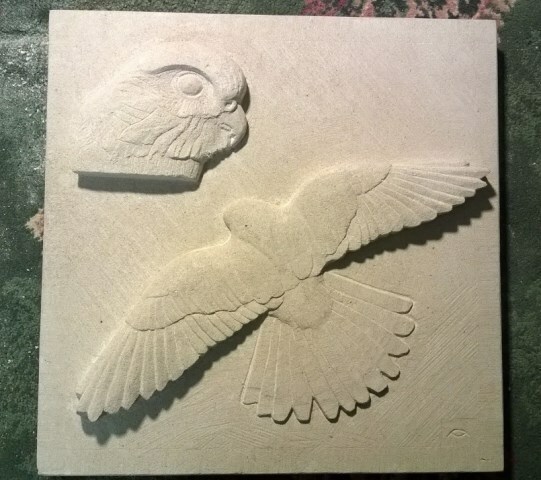 Here is the finished carving, I hope you like it, I am glad to say that my customer was delighted and remarked that I had outdone myself this time. My aim is to carve the best I can and with each commission my eyes and skills develop and improve.